These lovelies are so soft and feminine! 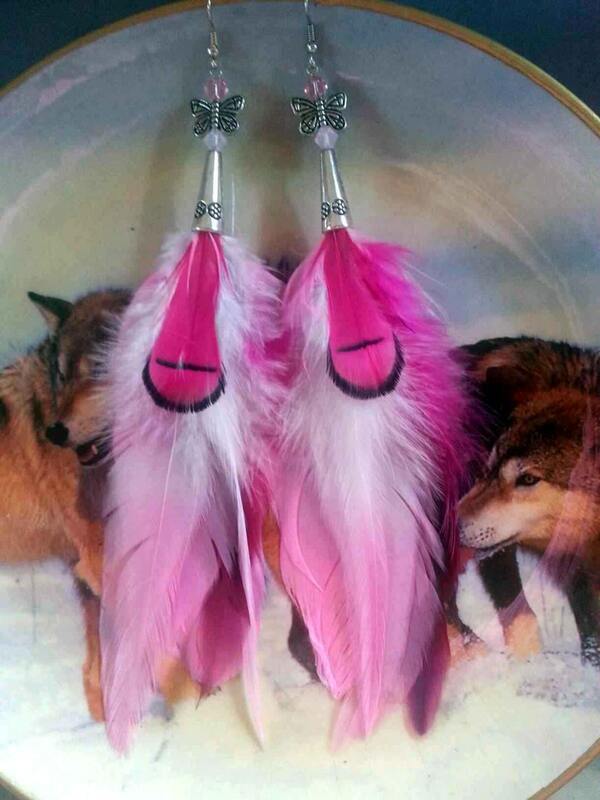 They are made with different shades of pink and different types of gorgeous feathers. They are topped by a beautiful silver Tibetan cone and decorated near the ear wire with beautiful swarovski crystals in two shades of pink. Sitting on top of these, is a pretty little silver butterfly bead. They measure about 5 inches long. Got something pink to wear for spring? These would be the perfect accessory!